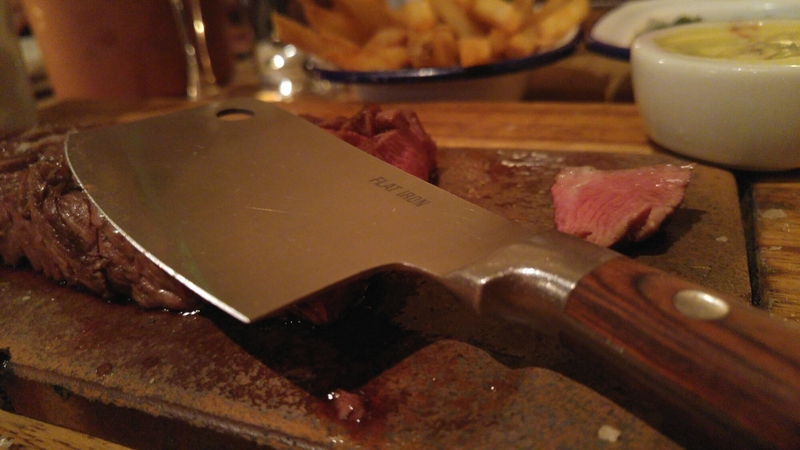 This evening had been delicious and brilliant as I’ve been eating steak with Sharon at Flat Iron on Denmark Street. Wonderful conversation with an equally wonderful steak and sides. Life is so great when you have such good friends to share it with. The storm hasn’t kicked off yet at work but the wind is getting stronger; excitement is in the air!